Drug policy should not endanger public safety. 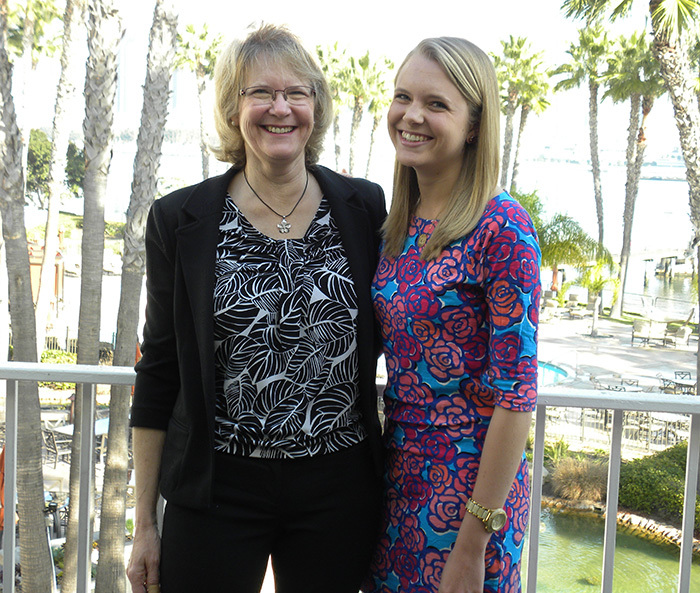 Shelley and me in San Diego, eight months before she died. One more death is one too many. My name is Dede Goldsmith. On August 31, 2013, my daughter, Shelley, died of heat stroke at an electronic dance music (EDM) concert in Washington D.C. after taking MDMA. Shelley was an honors student at the University of Virginia. She loved life and was an inspiration to all those who knew her. Her death was not an overdose. Rather, it resulted from a combination of MDMA and dehydration after dancing for hours in a hot, overcrowded environment, which ultimately led to hyperthermia or heat stroke. It can happen to anyone. In fact, fatalities are increasing at EDM concerts and festivals across the country. Too many young people are dying, and the 2003 RAVE Act is part of the problem because it is preventing the implementation of common sense safety measures at these events. It is time for a “safety first” approach to drug use that emphasizes harm reduction alongside current law enforcement efforts. I am committed to making sure these tragedies do not happen to any other families. Will you join me in helping improve our country’s drug policy and protect young people in the EDM community? Keep reading below to learn more or sign the petition now! What is the Rave Act? The Reducing American’s Vulnerability to Ecstasy Act, or the RAVE Act, was first introduced by Senator Joseph Biden in 2002. Renamed the Illicit Drug Anti-Proliferation Act, it was passed by Congress the following year. When originally passed, the Act gave law enforcement officials greater power to shut down underground dance parties when promoters were knowingly and intentionally encouraging the use of illicit drugs. However, its current language has created a more dangerous situation today by discouraging legitimate EDM concert and festival organizers from enacting common sense safety measures to protect their patrons. Providing free water and air-conditioned rooms, and allowing drug education and other harm reduction services inside their events would save lives. Yet many event organizers are afraid that these actions could be seen as encouraging drug use and therefore subject them to criminal prosecution under the RAVE Act. Help ensure that implementing basic public safety measures is no longer deterred by federal law. Learn more below or sign the petition now! 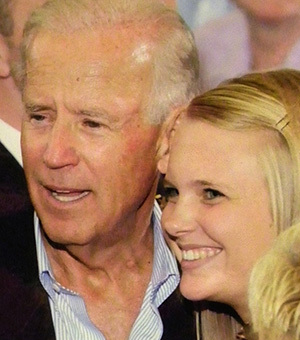 Vice President Joe Biden, author of the RAVE Act, poses for a photo with my daughter, Shelley, in August 2012. A year later, on August 31, 2013, Shelley died at an EDM concert in Washington DC after taking MDMA. Keep reading to learn more about why I am seeking Mr. Biden’s support to amend the RAVE Act. Most medical emergencies that occur at EDM events are the result of heat stroke. MDMA and other stimulant drugs increase a person’s risk of heat stroke. However, when heat stroke occurs, other factors are almost always involved, such as a hot environment, engaging in aerobic activity like dancing, and a lack of access to drinking water. In fact, MDMA-related fatalities are rarely the result of overdoses. They most often result from a combination of environmental factors leading to heat stroke. Heat stroke can even occur when a person hasn’t consumed any drug at all. Help us amend the RAVE Act to allow for air-conditioned rooms, unlimited free drinking water and other safety measures. Under current law, many event organizers and venue owners are afraid to provide them. Keep reading to learn more or sign the petition now! There are many organizations that provide critical harm reduction information and services to young people who make the risky decision to try drugs. Some of them, such as DanceSafe, offer peer-based drug education and counseling specifically to youth in the EDM community. These organizations do not condone recreational drug use. Instead, they educate young people on the real risks and dangers of using drugs, and how to minimize those risks if they still choose to use. Many venue owners and event organizers refuse to allow harm reduction workers into their events because they are afraid that even acknowledging that drug use occurs will make them liable to prosecution under the RAVE Act. Help me ensure that life-saving information and harm reduction services are no longer deterred by federal law. Click the link to sign the petition now!